How do you celebrate Belgium’s raining weather? By launching a colorful new rainproof collection of course! That’s what creative atelier Veritas did at least and what better way to get their GET OUT collection to the people than dropping a gigantic rainbow in Belgium’s busiest train stations? 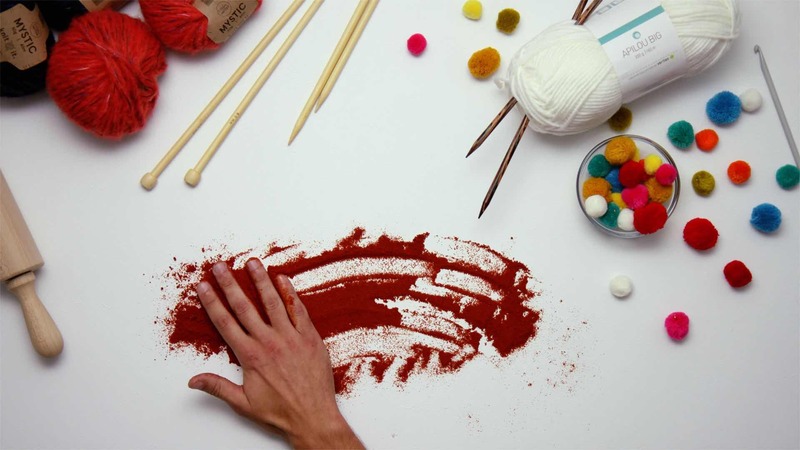 where your crafty and creative friends get their crafty and creative stuff. Atelier Veritas is all about handmade. 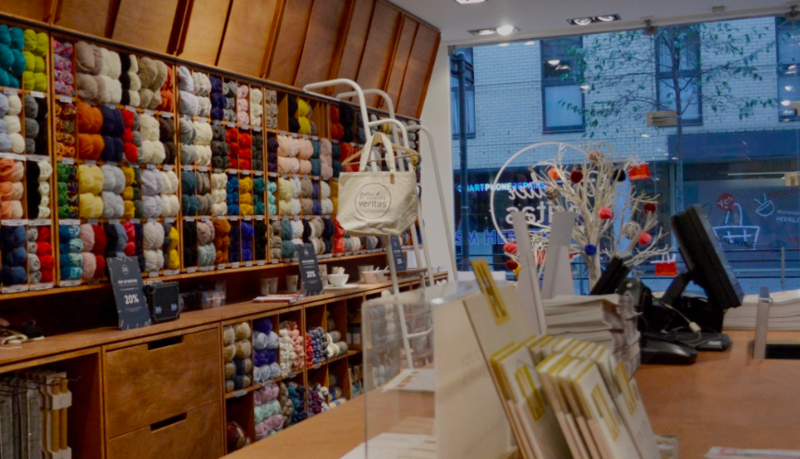 They sell all kinds of materials to create, knit, sow, cut, restyle, customize, anything. And now they also give workshops. want to learn how to stuff your socks? Or knit a teddy bear? You found the right place: Atelier Veritas. A brand about DIY and handmade crafts, so we handmade all their campaign material. Outdoor, activations, TV commercials, Social media posts, print ads… everything. Outdoor activation in Brussels Central station. 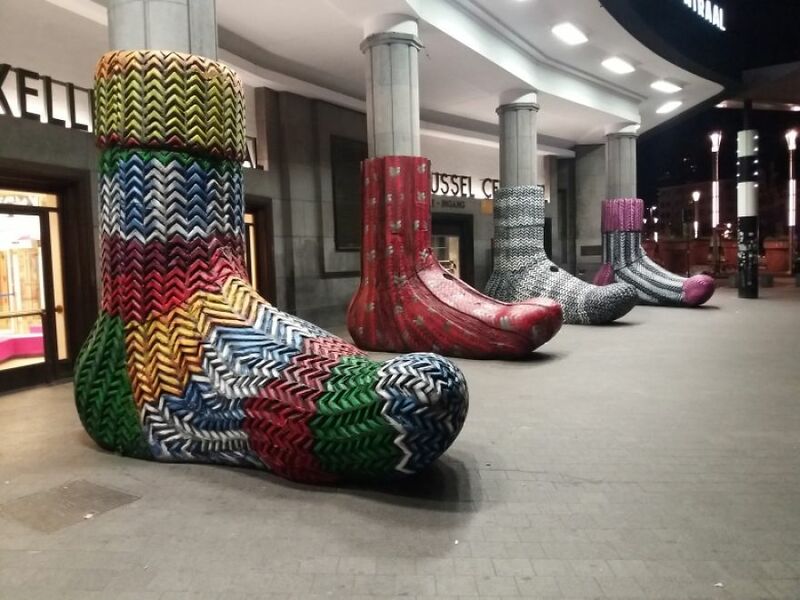 We dropped a huge knit bomb and gave the famous entrance some extra warm knitted socks for winter. 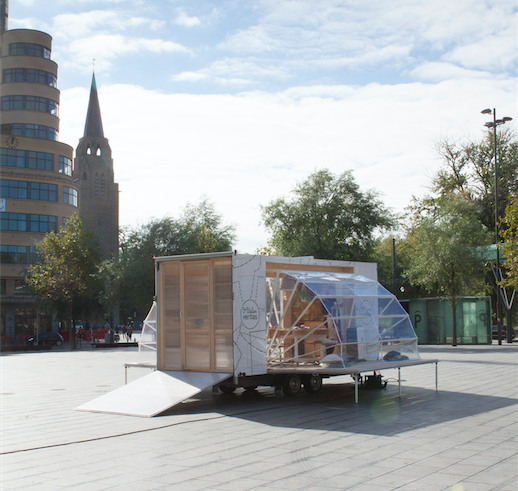 We visited a lot of spots with our mobile Atelier: The Veritas creavan. 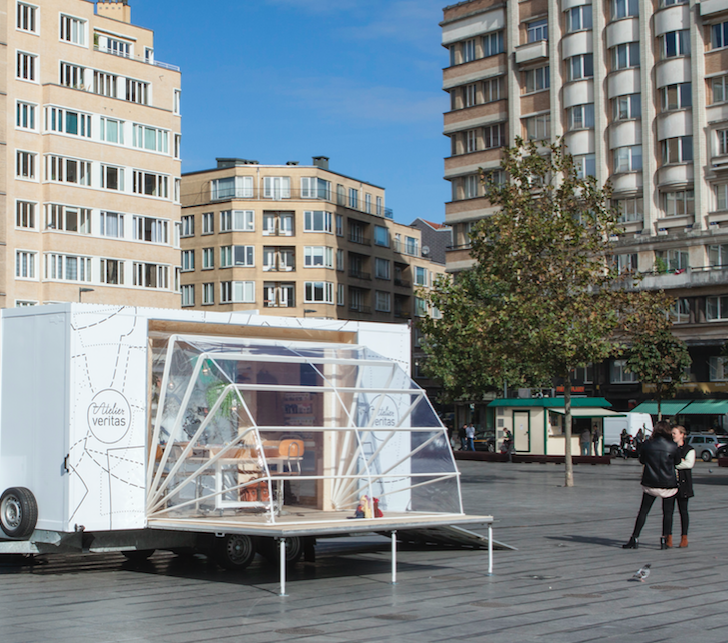 It tours around Belgium during Christmas time and helps you creatively wrap your presents. 10 Atelier Veritas opened in 2016 and a new one just popped up in Antwerp, Belgium’s fashion capital. More DIY campaigns coming soon.